What is Kesha's Weird & Wonderful Rainbow Ride? Welcome to Kesha’s Weird & Wonderful Rainbow Ride – we will let go of the worries in our lives together on the open sea. We will all be on a rainbow-glitter filled trip together where the dance parties never end. I’m bringing some of my most fabulous friends and fellow performers to make sure your boogie feet never stop. Throw out everything you think you know about cruising and let your freak flag fly! This rainbow adventure will leave you gagging over 2 unique live Pool Deck shows and activities with me, pool deck dance parties, and thousands of fellow Animals all on one big ship. There are only two rules: bring some glitter and be yourself unapologetically. What does the price of Kesha's Weird & Wonderful Rainbow Ride include? Round trip cruise from Port of Tampa to Nassau, Bahamas. All meals (there's gourmet fare in the formal dining rooms, casual indoor and outdoor grills open for meals throughout the day). Non-carbonated beverages (i.e. tea, juices, coffee). Use of the ship's beautiful pool and hot tubs* (all with plenty of deck space to enjoy a cocktail and some great music). Use of the Norwegian Pearl's amenities such as: casino, health and fitness center, full-size sports court, video arcade, and more. Taxes, port charges and ticketing are added at check-out and pre-paid by you ($235.00 per person). Any meals, events or tours in the port. Pre-cruise or post-cruise hotels - see our Hotels page for details. Travel Protection (available through Sixthman). 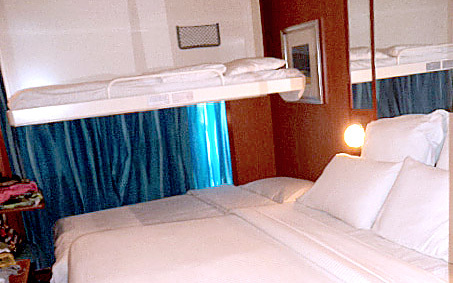 Booking your stateroom is easy! You can book online at keshasrainbowcruise.com/booknow, or over the phone by calling 877-379-9196. 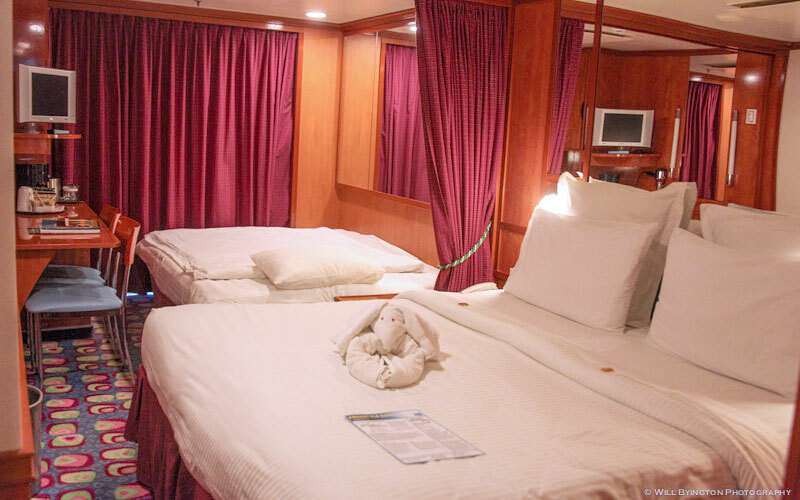 Stateroom Selection: During booking you will select your desired stateroom category and occupancy, so check out the pricing page. You will select your exact room assignment, so also check out the Norwegian Pearl’s deck plans. Sixthman Usernames: You'll need to login with (or create) a Sixthman Username to book. If you've traveled with Sixthman previously or signed up for the Kesha's Weird & Wonderful Rainbow Ride Pre-Sale you have a username. Recover forgotten login credentials here, or contact us or try our live chat for immediate assistance. If you or a guest needs a Sixthman Username you can create one while booking. Guest Permissions: If you were a Lead Passenger on a prior event and are sailing with the same guests, your guests will be in a dropdown list for you to add to your stateroom. If you're sailing with someone who has a Sixthman Username but has NOT sailed with you previously, have your guests login to their Sixthman profile and add your username to their 'Approved Lead Passengers' list in the 'Guest Permissions' section. They'll then be on the dropdown list for you while booking. If you have traveled with Sixthman previously or signed up for the Kesha's Weird & Wonderful Rainbow Ride Pre-Sale, you have a username and will not need to create one. If you don't know your username, you can recover it here. You can also contact us and we will be happy to look it up for you (try our live chat feature or call us at 877-379-9196). Sixthman offers you a leading travel insurance plan through our partnership with Travel Insured International. Travel Insured specializes in providing quality coverage and superior customer care and claim service to our Sixthman guests. When you add our plan to your trip, you protect yourself from your policy's effective date through your return home. Your prepaid trip costs are protected against Trip Cancellation or Interruption due to an unforeseen accident or illness to you, your traveling companion or a family member. You also receive Emergency Medical Protection, Baggage Protection, Travel Accident Protection and Worldwide Emergency Travel Assistance available 24/7 during your trip. Am I guaranteed access to all shows on board? Kesha's Weird & Wonderful Rainbow Ride is run “festival style,” with multiple shows going on simultaneously. All of these shows are general admission, so you’re welcome to come and go as you wish! There are performances where capacity is limited, however the artists perform multiple times during the cruise. Will the artists be on board the whole time? Our artists are excited to join you on board for the whole event. However, there may be some cases where they must join us during the trip or depart early due to schedule or family commitments. When should I plan to arrive and depart from Tampa? When booking flights we recommend that you arrive in Tampa no later than 12:00pm on February 17. Return flights should be arranged to leave Tampa after 12:00pm on February 21. Please allow additional time for customs clearance for international flights. Paid In Full Discount*: Reservations made through September 15, 2018 that are paid in full within 72 hours of booking will receive a 5% discount off cabin fare. The Paid In Full Discount will only apply if the entire cabin is paid for and is not available on a per person basis. Referral Discount: A discount of $100 off the reservation total is available if all guests in your cabin are first time guests of a Sixthman event and you enter a valid referrer username during booking between the dates of July 2 and January 18, 2019. See full program details here. Military Discount*: Guests who are active or retired military are eligible to receive a 5% discount off cabin fare for the entire cabin. To receive this discount, please email one of the following items below to keshasrainbowcruise@sixthman.net after your reservation has been confirmed. Please blacken out your social security number before sending. Norwegian will make every effort to accommodate you, providing you have not entered the 24th week of pregnancy when the cruise ends. Please include your cruise details in an email to the Access Desk or accessdesk@ncl.com with a medical certificate establishing your due date prior to the cruise. What is the performance schedule and how does admission work? The exact performance schedule will be released HERE prior to the cruise, but count on each artist playing multiple times with festival scheduling and multiple shows occurring on multiple stages! How can I learn more about the Norwegian Pearl? What are the prices of Kesha's Weird & Wonderful Rainbow Ride? You can find pricing and availability for Kesha's Weird & Wonderful Rainbow Ride here. What is the referral program for Kesha's Weird & Wonderful Rainbow Ride? Did you know that you could earn $100 of Onboard Credit by referring friends to join you on Kesha's Weird & Wonderful Rainbow Ride! We’re so happy to add new members to the Sixthman family that your friend will also get a $100 discount on their cabin! Give the new guest your Sixthman Username. While booking, your friend must enter your Sixthman Username in the REFERRER field (located in “Step 3" of the booking pages) to receive the $100 discount. The program ends 30 days prior to sailing, January 18, 2019. All guests in the referred cabin must be new to Sixthman in order to be eligible for the $100 discount. * Referrals apply to full cabins only; they do not apply to individual guests within a cabin. Not already booked on Kesha's Weird & Wonderful Rainbow Ride, but want to gift $100 to a friend? If you are booked on a different Sixthman event or have sailed with Sixthman previously, you can still share the gift of a $100 discount and rack up mega friend points while you’re at it! The same rules above apply, except you will not be eligible for an onboard credit. If you are planning on joining us for Kesha's Weird & Wonderful Rainbow Ride, but you haven't been able to find someone to go with you, don't worry - this is the program for you! Interested? Have questions? Please contact us at keshasrainbowcruise@sixthman.net or call 877-379-9196 for this unique opportunity! Payments can also be made via phone by calling Sixthman at 877-379-9196. How do I purchase cruise or travel insurance? You may purchase travel insurance while placing your reservation online or by calling Sixthman Guest Services at 1-877-379-9196 after your reservation has been placed. Insurance is sold per person and based of the amount you'd like covered (minimum coverage is the per person cost of the cabin plus all taxes and fees). You may also call Sixthman to request additional coverage for other non-cruise travel, such as airfare and deposits on ground or hotel. For a complete list of rates and coverage details please visit www.sixthman.net/insurance. Please note that the CFAR benefit (CANCEL FOR ANY REASON) is in addtion to the standard policy and allows a refund of up to 50% of the non-refundable Trip Cost for reservations that are canceled without a covered reason up until 48 hours prior to sailing. This benefit must be purchased within 21 days of trip purchase. The Lead Passenger on the reservation is responsible for making sure minimum payments are met. However, each guest can log in (or call in) individually to make their own payment for their share of the cabin with their own credit card information. When making the reservation, the Lead Passenger can pay for only their portion of the minimum initial deposit, but the reservation must be brought current within 72 hours. Within this time frame, other passengers can make their initial payments. The Lead Passenger is responsible for making sure the reservation is current within 72 hours or will risk cancellation. Because the Lead Passenger owns the reservation, any changes to this passenger are subject to a Lead Passenger change fee of $299, and will require a signed Reservation Change Form. No lead passenger changes or transfers are permitted after December 15, 2018 OR once the event is on a waiting list, whichever comes first. ALL names must be received by December 15, 2018. 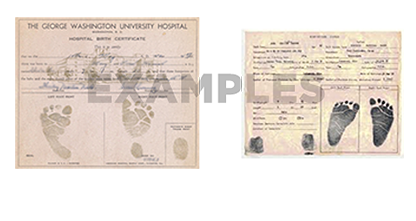 Each reservation is allowed one free name change prior to December 15, 2018. Additional changes prior to that date are subject to a $50 administrative fee per change. Any changes, including adding unnamed guests made after December 15, 2018, but more than one week before the cruise are $75 per change. Any changes, including adding unnamed guests made within a week of the cruise are $100 per change. Changes or additions made within the week prior to sailing must be done in person at check-in, and may incur a fee up to $299 per change. Sixthman Gift Cards can be used as a payment on a reservation. Gift cards used on reservations already paid in full will have the amount applied as onboard credit to cover drinks, merchandise, spa treatments, excursions, specialty dining and more! The gift cards have no fees. What are the age requirements for Kesha's Weird & Wonderful Rainbow Ride? 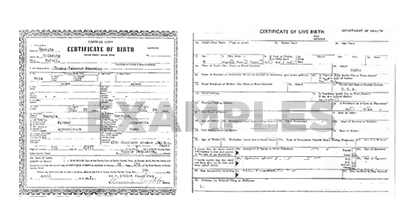 A minor is defined as an individual under 18 years of age as of February 17. A young adult is defined as an individual between the ages of 18 and 20 as of February 17. An adult is defined as someone 21 years of age or older as of February 17. How do I get to the Port of Tampa? For directions, check out our Port page. There is no Jedi Mind Trick around this, you MUST have proper identification to be permitted to board the ship. If you arrive at port without proper identification, while Sixthman will assist you in contacting the appropriate agencies, we cannot guarantee that you can successfully attain proper identification from the port, and this may result in being denied boarding without compensation. And this makes us sad. The Ultimate Beverage Package and Corks and Caps Wine and Beer Package are available for Kesha's Weird & Wonderful Rainbow Ride guests at a 10% discounted rate. The Soda Program is available to all Kesha's Weird & Wonderful Rainbow Ride guests at Norwegian's regular children's rate providing 26% in savings. And for those who prefer bottled water we've got you covered with our Ice River Springs Bottled Water Package. Guests can pre-purchase these packages or they will also be available on board. Everything you need to know can be found at www.keshasrainbowcruise.com/beverages. I'm in LOOOOVE!! Is it possible to to get married while on board? The dress code for Kesha's Weird & Wonderful Rainbow Ride is much more relaxed than a normal cruise. We want you to be comfortable! The only thing we ask is that you wear shoes and a cover up over your bathing suit while in the dining rooms. As we get closer to sailing, we’ll announce several “theme nights” – so be prepared to get creative and join in on the fun! What is the smoking policy on the Norwegian Pearl? 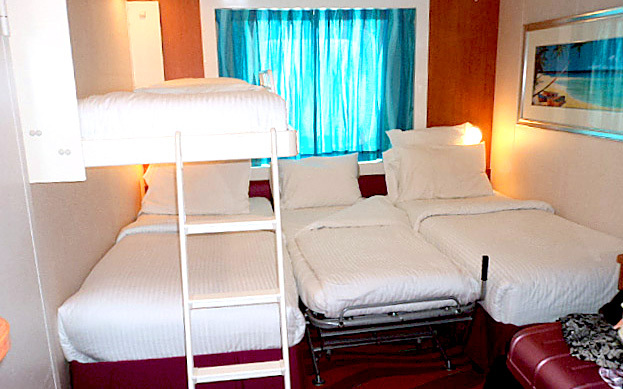 Guests are not permitted to smoke cigarettes, e-cigarettes, cigars or pipes in their staterooms or on their balconies. Smoking inside your stateroom or on your balcony will result in a $250 cleaning charge added to your onboard account. If cigarette burns on furniture, linens, towels or carpeting are detected; guests will be advised and charged for the damages. The Norwegian Pearl is equipped with a 24 hour Internet Café and Wi-Fi throughout the ship. The usage rates are the same whether you use the computers in the Café or if you connect a personal device to the Wi-Fi. Click here for more information on rates and services. Cruise Norwegian includes an industry first “Pre-Cruise” mode which allows you to pre-book your dining reservations & shore excursions, and view your vacation itinerary and summary, all before you ever step foot on a Norwegian ship. Once you get on board, all of your reservations, bookings, and favorites are seamlessly transferred to the ship, where you can use the communications feature to chat and message* with other guests on board, view your account and onboard purchases, and so much more! For more info, visit Norwegian's Mobile Apps page. There is no shortage of food onboard; enjoy a quick snack out by the pool or hit the buffet, all included in your cabin price! Certain specialty restaurants are available with either a fixed price menu with a nominal cover charge or à la carte pricing in addition to the standard dining program. 24-hour Room Service is a available for a $7.95 convenience fee. For more information about the restaurants aboard the Norwegian Pearl, click here. For your convenience, all shipboard expenses are charged to Norwegian's special onboard credit program. Sign up on the first day of your cruise, by establishing your method of payment with Visa®, MasterCard®, American Express®, Discover®, Diners Club®,travelers checks or cash. If you choose to settle your account with cash, a deposit will be required in advance. You may also use your debit card; however, please be advised that Norwegian obtains pre-authorization which some banks may hold for up to 30 days. Read more about debit and cash accounts on Norwegian's website. IMPORTANT: If you choose to settle your account with cash, a minimum deposit of $150.00 will be required in advance. You may also use your debit card; however, please be advised that Norwegian obtains pre-authorization which some banks may hold for up to 30 days. Norwegian guests can also be contacted onboard by calling 1.888.NCSHIPS (1.888.627.4477) from the USA. For the rest of the world please dial 1.732.335.3280. 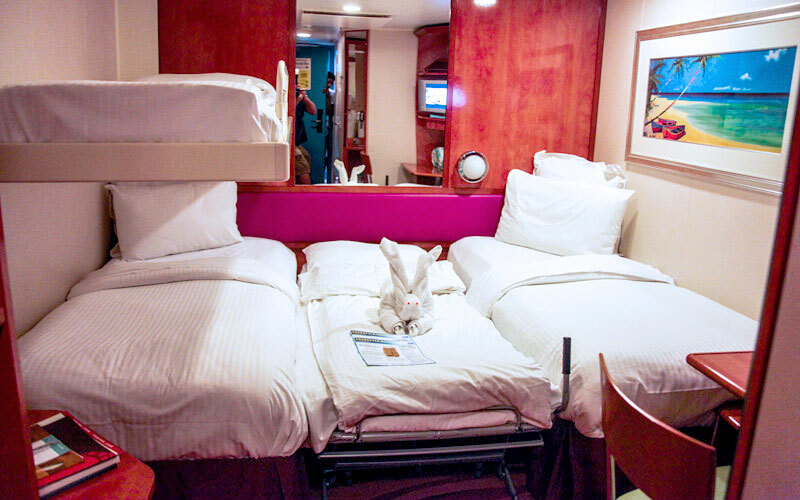 Guests may be reached in their staterooms directly from shore via the ship’s satellite. Messages about missed incoming calls also will be delivered to guest staterooms where guests may call back* the shore via satellite. When calling from the United States: Dial (888) 627-4477, select the ship, and enter your credit card information. When calling from outside the United States: Dial (732) 335-3280, select the ship, and enter your credit card information. Prior to sailing, you'll be able to see the schedule HERE. There are several resources on Norwegian Pearl to help you navigate your festival experience. Once we set sail, we may encounter some changes due to weather or logistical variations. Therefore the following onboard resources will your best source for staying up to date. The #1 best way to stay in the loop is to utilize sixthman.net/today. There you can always find the MOST up-to-date information (such as schedule and onboard announcements). Simply connect to the ship's wifi (NCL_Internet_Pearl) once on board. You do not need to purchase an internet package for the site to work. Other sources of info include: TV Screens, TVs with touch screens, daily announcements, onboard newsletter delivered to your stateroom, and iConcierge. If you have any food allergy or a dietary requirement that requires Kosher meals or gluten free food products, please advise Sixthman at the time of booking. Obtaining the product for many of these requests requires 45-days notice prior to sailing, and we want to ensure that Norwegian is able to fulfill your request. Norwegian cannot guarantee Kosher meal or gluten free food product requests made within 45 days of sail date. Whether you are admitted to the ship’s medical center or a medical facility in a foreign port, your medical expenses will be your out-of-pocket responsibility. Most standard health insurance policies do not cover treatment outside of the US. Please check with your insurance provider for more information. To ensure that you have assistance with medical expenses during your trip, we strongly recommend the purchase of travel insurance. Sixthman offers you a leading travel insurance plan through our partnership with Travel Insured International. The standard policy includes Emergency Medical Protection of up to $25,000 reimbursement for care and treatment and up to $50,000 reimbursement for emergency medical evacuation. To discuss questions and pricing for insurance coverage, please contact Sixthman Guest Services. Sixthman can be reached at 877-379-9196 or at sixthman.net/contact. Please use the live chat feature on our website, contact us or call the Sixthman office at 877-379-9196. Cannonball Club is our way of inviting our cruising community to experience more than one Sixthman vacation per year. Any guest booked at full price* on Kesha's Weird & Wonderful Rainbow Ride is considered a member of Cannonball Club and may book one or more Cannonball Club events at special reduced rates. Wanna go on a cosmic rainbow trip with me? My wonderful Animals and I are taking over a cruise ship for four days, and sailing on the Norwegian Pearl from Tampa to the dark side of the moon with a stop over at the crystal-clear waters of Nassau, Bahamas February 17 – 21, 2019. Welcome to Kesha’s Weird & Wonderful Rainbow Ride – we will let go of the worries in our lives together on the open sea.